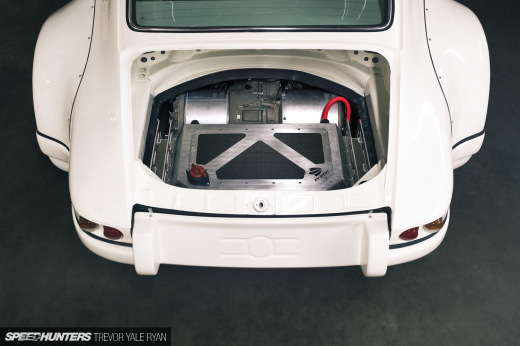 Unless you’ve been living under a rock for the last several years, you’ve probably seen the way air-cooled Porsches have skyrocketed in both value and popularity. While some of the popularity is driven by collectors who intend to keep their 911s as original as possible, it’s in equal parts driven by the builders, racers and customizers; guys who use these classic Porsches as a canvas for personalization. 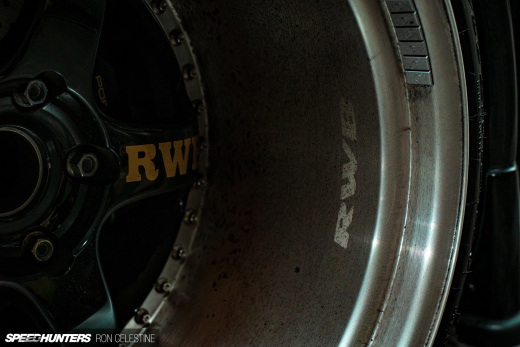 Names like RWB, Urban Outlaw and Bisimoto – maybe you’ve heard of them? So when it came time for Need for Speed to create a one-of-a-kind Porsche to coincide with the new game release, they headed up a collaboration between three very high profile builders, and the result is the car you see here. But it’s not just those three names that are responsible for the build. There’s a fourth collaborator as well – gamers. Using the impressive customization tools and parts selection within the game, players were asked to help choose the components used on the car. 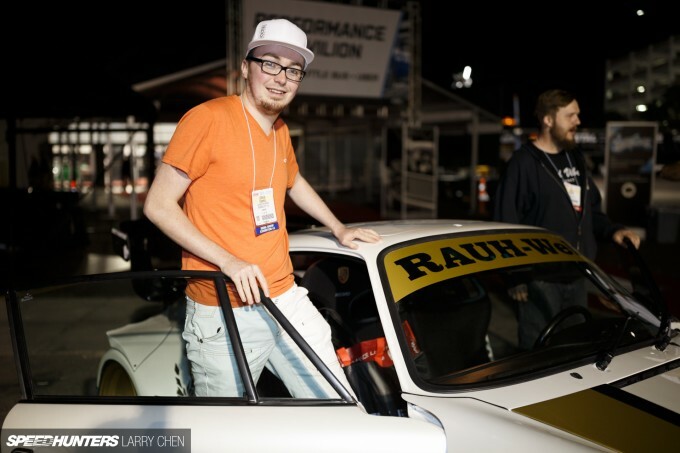 And better yet, a few of those participating NFS players were invited to the 2015 SEMA Show in Las Vegas to help take part in the car’s debut, and ride shotgun as it cruised beneath the lights of the Strip. We have a lot more coverage of this very unique build on the way, including a detailed look at the car itself and the elements each builder contributed, so stay tuned. Until then, be sure to take a look at this film which taps deeper into the philosophy behind the project itself, and looks at how gamers and car builders came together for this unique creation. Good to see at least one game pays attention to its fanbase *cough* forza *cough*. At first I was like "Urban outlaw wheels on an RWB car? Something's weird..." Waiting for the new NFS on PC!!! Drive Club all DAY . NFS hasnt been good since underground 2. unfortunately NFS is GARBAGE. Still a dope build. Damn dude, it's an arcade racer not a goddamned racing simulator, if you treat it a such its a helluva lot of fun. The car customisation is really cool and just cruising around is a lot of fun too. @Ed I don't think it's pretending to be otherwise. Dirty girls get lots of love. Funny you mentioned Forza as I just finished taking part in a face-off against some of the game creators. The Forza community is one of the most well connected I've ever been a part of. therealsinic without need for speed I'm unsure this website would exist. @researchisyourfriend I loved the game and this car is bloody beautiful. Get your stuff together, man. The car looks good, livery has the vibe of an '80s GT Porsche. The game still is the wrong mix of enthusiast culture and ultra arcade physics (I mean, what else could happen with a Battlefield engine at its core...). I understand you have to mention the sponsors and all ... But the sponsor's golden stickers are making this look too "heavy". The NFS and Frostbite stickers especially are altering what could be a pretty nice livery. JakWhite Im totally aware of that fact, and have been an avid reader of this site for 7-8 years.Nothing but love for SPEEDHUNTERS, was rocking the old white t shirt by fatlace at FD seattle in 09 and mad mike was stoked to see it! I practically broke my PS2 playing NFSU/NFSU2. The online only and lack of split screen was the reason i didn't purchase the game. drifting in Drive Club takes a little more skill then just hitting R2. I'll always check reviews and try the new NFS games in the future, im sure that gem will come along eventually. It basically looks like an average gamer placed them, which would make sense, but if that's true it's a terrible decision and agree looks terrible! 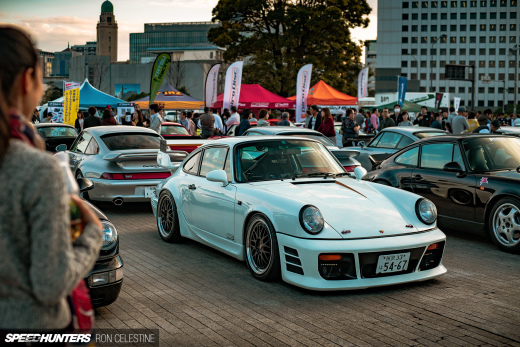 I honestly don't understand the whole RWB Porsche craze. They all look the same, other than different paint color and wheels, but people go nuts every time they build a new one. Admittedly, I am not a Porsche fan for starters. The colours don't work but I think it gives character like that to this particular build, it just looks more rustic and home built and I think it's cool. Nothing average about this car. It stopped me in my tracks at SEMA. I am just another car guy from the internet, but let me express my opinion. I think today 930 and 964 body style become mainstream in automotive media. Every other shop and magazine features these projects and films stylish videos about it. Things just tend to go out of style with time, if they get too much attention. What's going to be the next cool thing? - The 996 bodystyle maybe. Well, it's like if 10 people go to the same tailor for a suit. They might look basically the same, but they all have little differences that set them apart. Nakai said something to this effect in one of his videos. Cant wait to see the full car feature!!! damn Magnus Walker was damn quick in NFS, took me 67 tries to beat him with the damn rubberbanding.